"Kids are going to love this camp!" "I really loved taking this camp. It taught me lots of things about writing, and I wrote a better story than I ever had because of your tips. Thanks!" "Writing workshop was really fun. I learned a lot about creative writing. I enjoyed it a lot." 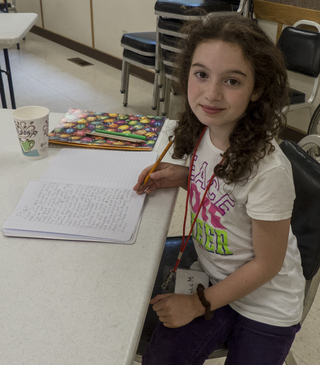 "I really loved the writing workshop. It was really fun and I was always excited to go every morning." 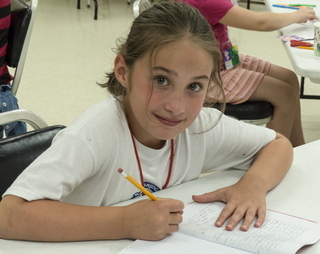 "Writing camp goes by slow but it is super fun! The best combination!" "I liked the way we got to write a lot. I also liked how I was treated." "I love writing so when I heard about it I said to my mom, Sign me up!" "I really liked how we got to write and then Margaret would work with us individually. And there was no pressure to read our stories." 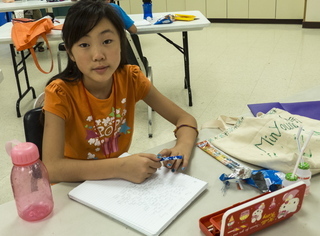 "I really liked getting Margaret's input on our stories and I liked reading my mystery out loud and decorating my journal. 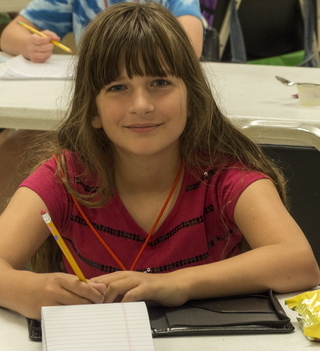 I wasn't too sure about this camp at first but it was really fun and I loved seeing the really creative side of me." "I really enjoyed this camp and I really want to do this camp again." "From now on I know that I'm always going to do this camp when it's available!" 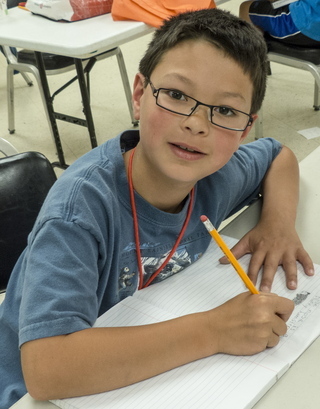 "I love coming into the classroom and seeing smiles on your faces and I love how Margaret is a kind loving teacher." "I like to write a lot and it's fun." AT STRAWBERRY HILL CENTER IS OPEN! For budding authors! 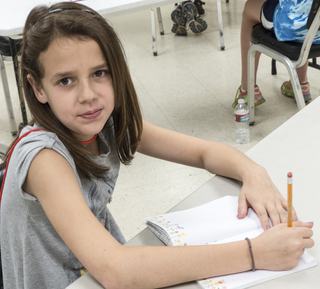 We'll explore story writing skills in a fun, creative atmosphere. 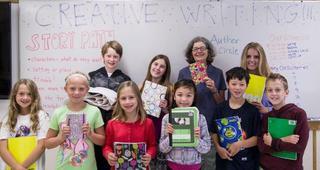 I use prompts, crafts, and picture books to help young writers get started. We'll capture ideas and turn them into narratives with characters, voice, and a storyline. Your writer will go home with a finished story booklet with an illustrated cover. This camp takes place at Strawberry Hill Center, 7666 NE High School Road, Bainbridge Island, WA. To register, call 206-842-2302 or visit Bainbridge Island Metro Park & Recreation District. For young writers ready for the next step! 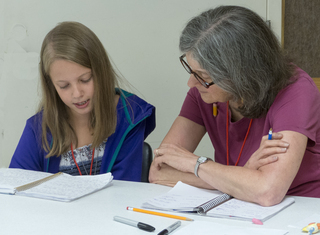 Mornings for planning, writing, and sharing creative work will give young authors the joy of seeing their ideas turn into stories and novels. We'll use the "Story Mountain" story arc—beginning, problem, build-up, climax, and end. We'll find out what makes our protagonists and villains tick. If you'd like, share your writing in the Author Circle or peer group. I'll meet 1:1 with writers. 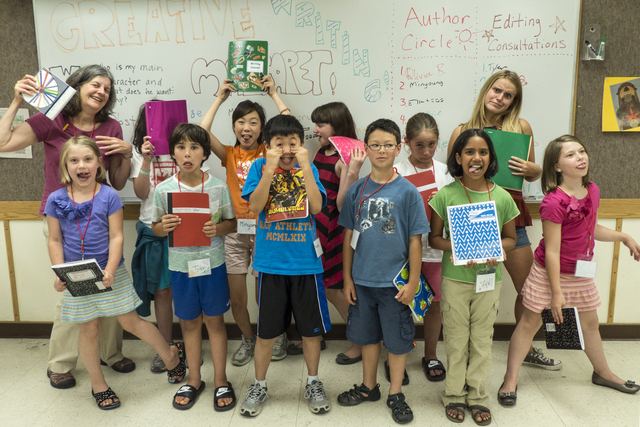 Spend a week with your fellow teen writers! Put your thoughts on paper or screen. Work on a story, novel, poetry, flash fiction, or other genre. Get tips on craft and voice. 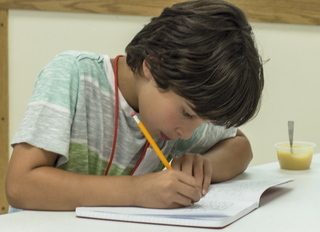 Learn how to shape a piece of writing. We'll create an atmosphere friendly to sharing what we know. Start fresh or bring an ongoing project. 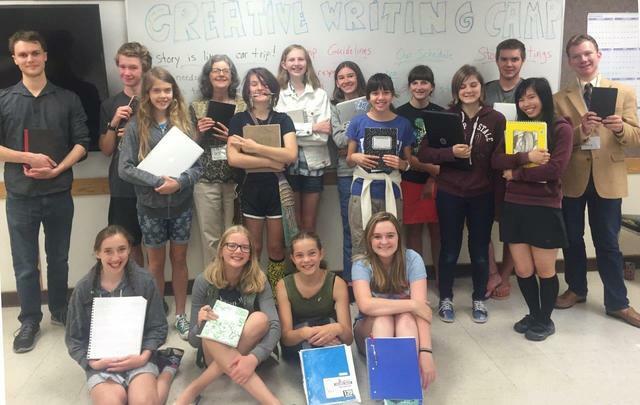 I'll meet 1:1 with teen writers and answer burning questions. 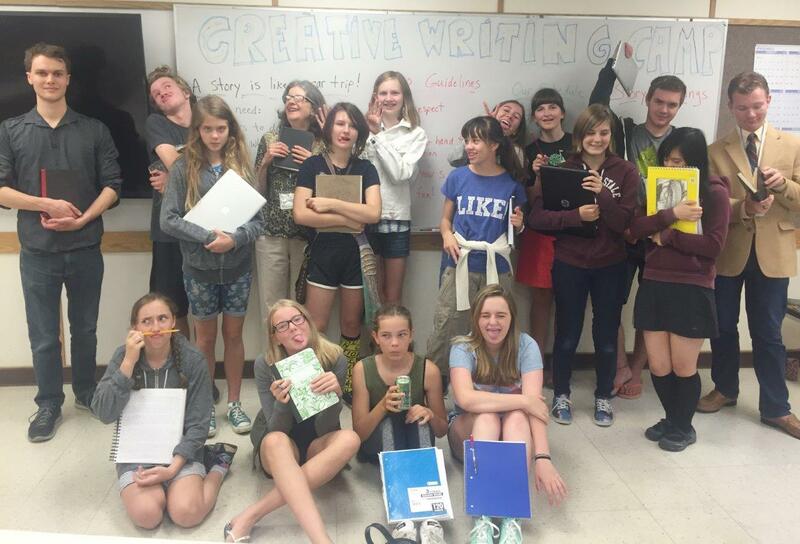 Don't miss the Young Writers Group when we celebrate our last meeting of the school year! 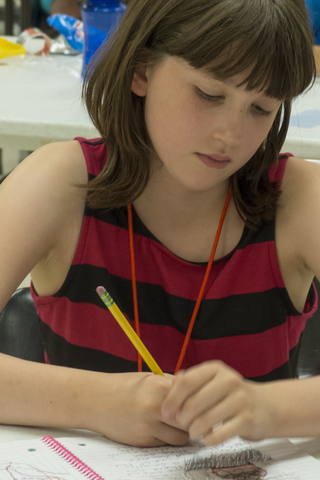 We'll meet Tuesday, May 21 for a big-bang finish to a great year of writing! 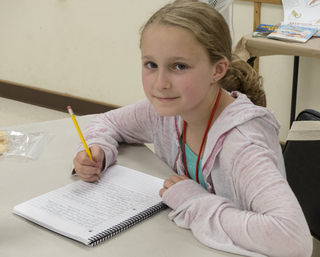 All young writers in Grades 3-6 and all levels of writing are welcome. We meet the 3rd Tuesday of the month from 3:30 to 5 pm during the school year. 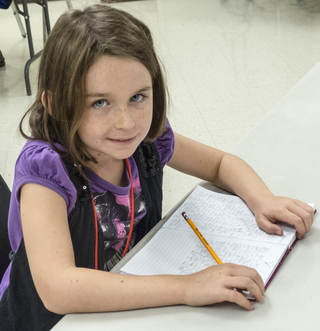 Budding authors will write stories, novels, and poems from their own imaginations. They can also share their work aloud in the group or meet with Margaret for a 1:1 story meeting. Fun prompts - and a snack - are also on the agenda! This is a free, drop-in group. No need to register. This group is sponsored by Kitsap Regional Library. It's co-facilitated by authors Kathy O'Brien and Margaret Chang. 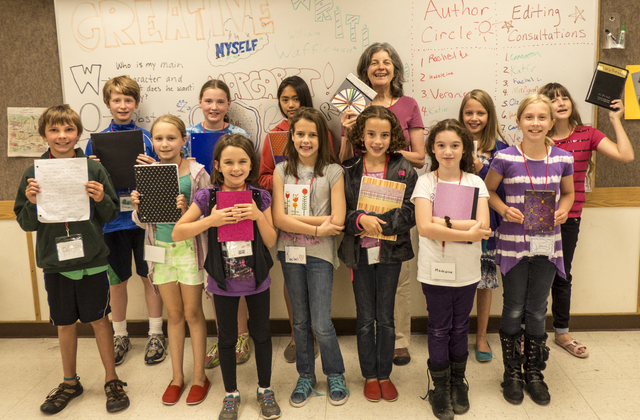 Young writers, hope to see you at Bainbridge Public Library, 1270 Madison Ave. North! Teen Writers! Our last meeting of the school year takes place on Thursday, May 9. Don't miss it! We'll write, share tips, and have a snack. We meet on the 2nd Thursday of each month during the school year from 4 to 5:30 pm. Learn how to bring characters to life, create engaging dialogue, or build an exciting world. Get a 1:1 consultation with Margaret or author Rayne Lacko. Hear strategies for when you’re stuck and learn how to navigate the world of publishing. Bring pieces you're currently working on to get feedback from a peer group if you wish, or start something new. This is a supportive, informal group that will help take your writing to the next level. 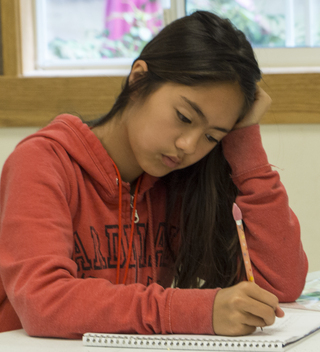 The Teen Writers Workshop is sponsored by Kitsap Regional Library. This is a free, drop-in group. No need to register. 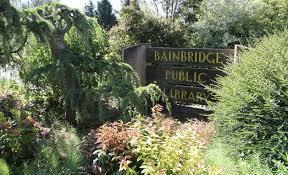 Teen writers, hope to see you at Bainbridge Public Library, 1270 Madison Avenue North. You can also check out the Resources for Teen Writers below. 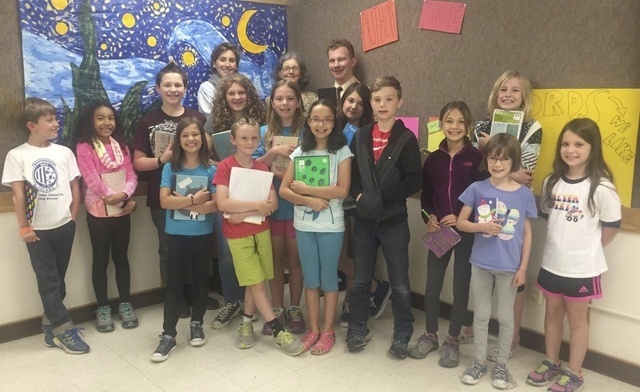 Thanks to all the young writers and teens who shared their stories and their spirit! Thanks to all who shared in the writing journey. Keep writing! 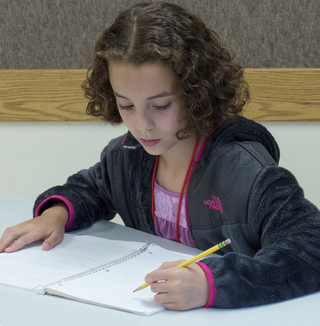 Young writers will invent their own plots and characters while learning how to craft a story. We'll go from ideas in our heads to sentences on the page. We'll delve into heroes and villains and have fun with words. 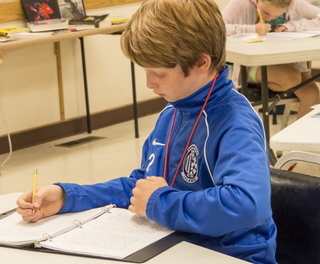 Writers may read their work aloud in the Author Circle for feedback. Margaret shares her expertise and meets with writers individually. All budding authors welcome! 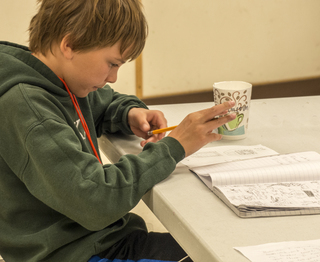 Workshops take place from 4-6 pm at Strawberry Hill Center, 7666 NE High School Road, Bainbridge Island, WA. You may register for one or both sessions. To register, call 206-842-2302 or visit Bainbridge Island Park & Recreation District.